HARLEM, Manhattan (WABC) -- A hospitalized patient admitted to firing the shot that killed a 61-year-old Harlem grandmother as she watched a game of dominoes two blocks from her home last summer. Abraham Vah, of Queens, was arrested Tuesday and charged murder, criminal use of firearm and criminal possession of a weapon. He has 12 prior arrests. According to the New York City Police Department, 25-year-old Vah was being treated at Beth Israel Hospital when he started telling staff that he had "information about a homicide." Vah then told detectives that he fired the stray bullet that killed Odessa Simms while shooting at someone who had robbed him, police said. 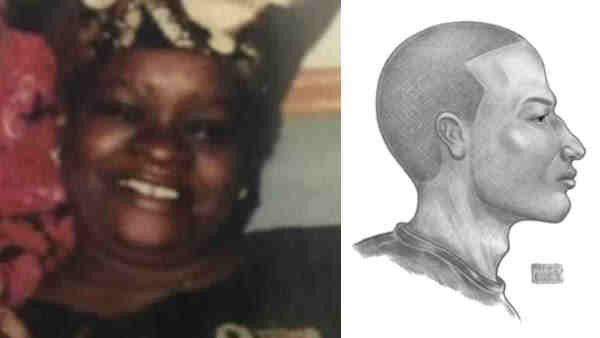 On Aug. 20, Simms, 61, was outside with her husband on Lenox Avenue and 144th Street playing cards. Investigators said her husband went to bed and minutes later shots rang out. Two bullets hit Simms, including one in the neck, and she died.